James: This documentary is based on the original recordings that Alfred Hitchcock and François Truffaut made in 1962 when Truffaut interviewed Hitchcock for over 50 hours over many days at Universal in Los Angeles for the book of the same title, which came out in 1966. Semaj: Yeah. Truffaut went chronologically, movie by movie, getting Hitchcock to talk about his craft, his work as an artist, rather than just a popular entertainer. James: They say that it’s the thing that changed the general opinion about Hitchcock. Semaj: Until then, he was just seen as a popular teller of tales. Hitchcock never won an Oscar. No one really considered his artistry before Truffaut. James: That was their whole thing, right? The French New Wave, in the sixties, lionized the studio directors of the previous generation — namely Hitchcock, John Ford and Howard Hawks, because they were artists who were able to imprint their films with a personal touch while still working within the studio system. James: Yeah, the idea of writing with the camera. Semaj: I know a lot of people piss on that theory because movies are so collaborative, and one could argue that it’s impossible to single out one author as you might do with a novel or a painting, but in Hitchcock’s case it seems clear (largely because of Truffaut’s book) that Hitch was the main and only “author” of his movies. James: Yes, he clearly designed and oversaw his movies every step of the way and was incredibly specific. Semaj: His attention to detail reminds me of Wes Anderson. Not in style, but in the incredible amount of preparation, and then care of execution. James: Yeah, it seems that directors like that are inimitable. I remember when Robert Altman passed, he was preparing a movie (he worked all the way to the very end!) and there was talk about trying to make the film after he was gone, but that would be impossible. An Altman script without Altman directing is nothing. Semaj: I mean, you can imitate the great directors. James: The boxing sequences in “Raging Bull” are supposedly based on the shots and sequencing of the shower scene in Psycho. Semaj: Um, what tha fuuuuuuq? How is that possible? James: I don’t know. 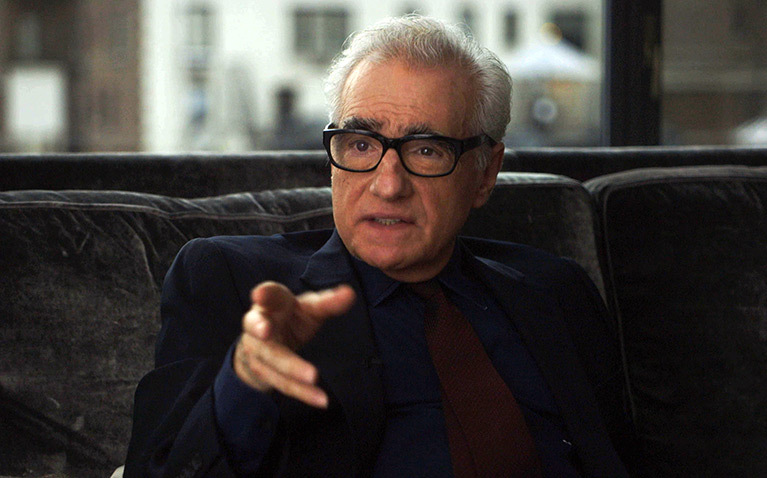 It makes sense in Scorsese’s mind, but yeah, I can’t quite see it. That doesn’t really matter. What matters is that Scorsese was inspired by one great film and created another great, very different film from that inspiration. Semaj: What about Gus Van Sant’s remake of “Psycho”? James: What about it? It was a pretty amazing concept, even though every critic jumped on him even before the film came out. Semaj: Because he not only used Hitchcock’s script, he used Hitchcock’s shots! He did it shot for shot! James: Yeah, that was Gus’s new concept. After “Good Will Hunting,” he had achieved a level of recognition that allowed him the leeway to do something highly conceptual. Universal had turned down his “Psycho” remake idea before, but after “Good Will Hunting” made a ton of money and won some Oscars the door was open. But they spent big money on the movie, and I think that was part of why the critics and the public couldn’t let him get away with such a conceptual, artistic movie. Semaj: Yeah, if it had just been a low budget, art house version, he probably could have pulled it off. James: Yeah, but even Gus said that he figured out there is still a difference between the films because he and Hitchcock are different people, with different interests, passions and energies, and even if the shots are all the same and the script is the same, the movie will have a different soul. And the actors are all very different than the original actors: Different acting styles, looks and ways of expressing themselves. Semaj: It’s funny that the critics were so hard on Gus for daring to remake a holy Hollywood classic when in fact Hitchcock wasn’t considered a serious filmmaker until Truffaut did this book-long study with him. James: You’re right. It took a filmmaker/critic like Truffaut to turn around the prevailing critical opinion of Hitchcock. Semaj: The filmmakers of the seventies that were in the know knew the genius of Hitch (Scorsese, Schrader, De Palma) but they couldn’t even find a print of “Vertigo” because it hadn’t been a huge success when it came out. James: So what is Hitchcock’s legacy? Semaj: What “Hitchcock/Truffaut” shows is that Hitchcock was a master of precise cinematic language. His films are psychologically dense, but they gain access to those subconscious undercurrents through means other than the actors. The way that Hitchcock structures his scripts, uses the camera, and edits his sequences reveal character and story much more than the expressiveness of his actors. James: He said that actors were cattle. What the hell do you think about that, especially because you’re an actor? Semaj: Well, so are you. Are we actor/critics? Semaj: Some directors are just more focused on the visual components of the film than the acting, and that’s fine. In those cases it is your responsibility as an actor to do your job within certain parameters. And if you plan to work with someone like Hitchcock, or Wes Anderson, where all the shots and visuals are planned out beforehand, you go into those projects knowing what the deal is and go with the flow. James: It’s funny that Truffaut loved Hitchcock so much, because his films are nothing like Hitchcock’s. Semaj: Very true. Would you have acted in a Hitchcock film? James: If I got to play Marion Crane. “Hitchcock/Truffaut” opens this week in New York and Los Angeles and expands to several cities on December 11.